An easy way to master this distinct and beautiful sound from Spain. Guitar Atlas: Flamenco is a vivid exploration of Flamenco guitar. Dennis Koster, one of New York's most sought-after teachers for over 25 years, guides you through distinctive rhythms such as soleares, alegr­as, and buler­as, along with important techniques like rasgueado, tremolo, and golpe. Music is written in standard notation and guitar tab. 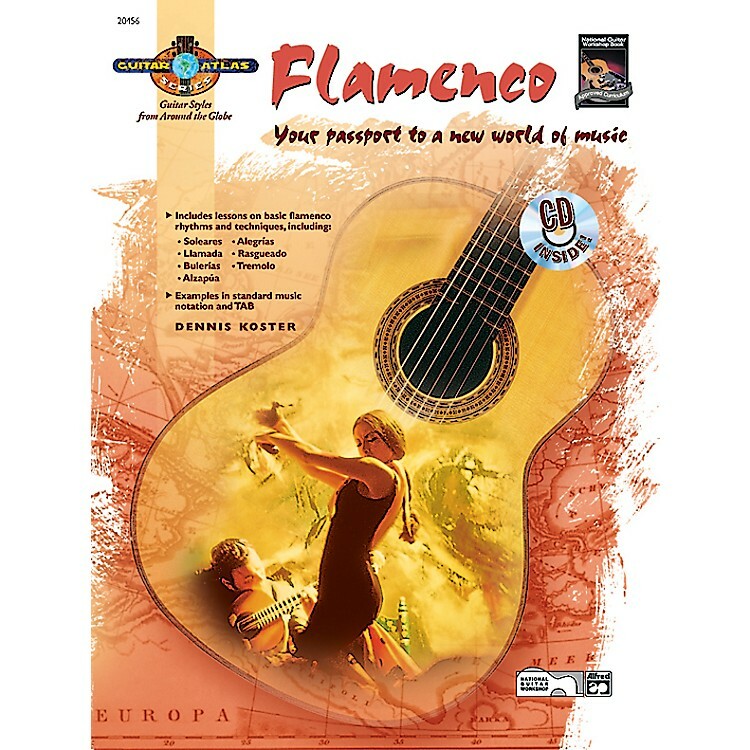 The music book also includes a demonstration CD, which is sure to make learning the Flamenco guitar style both easy and fun.